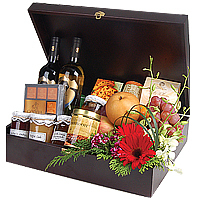 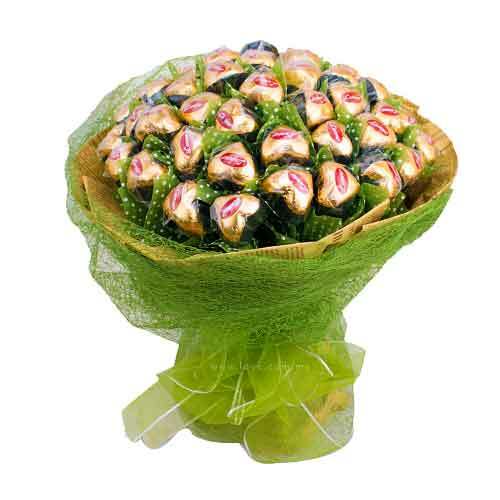 Description: Savory treats in Paraloka weaved basket accessorized with ribbons. 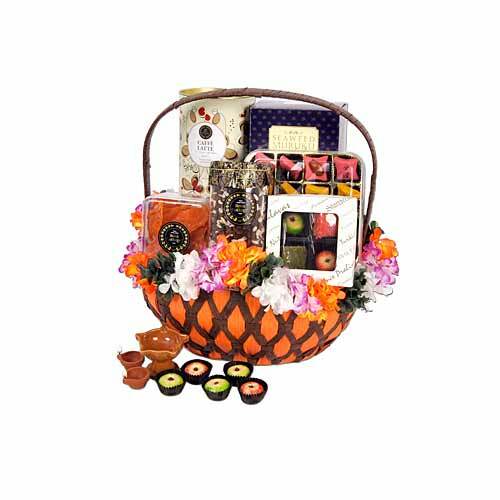 Includes Assorted Chennai Varottas 16pcs, Ross Cottage Sweet Apricot 204g, Coconut Candies, Mango & Apple Palkovas 4pcs, Ross Cottage Sunflower Seeds with Raisins 338g, Ross Cottage Premium Latte Coffee 320g and Homemade Mirutuvaka Muruku 108g. 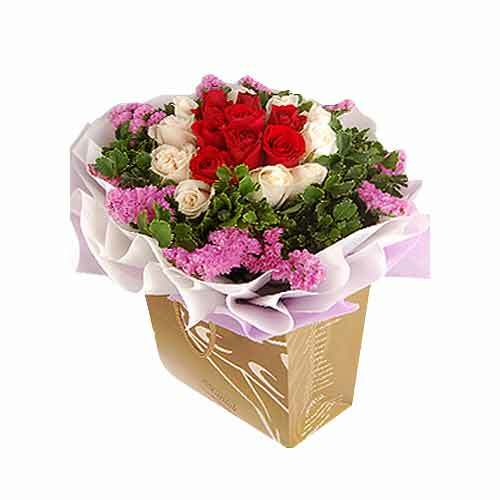 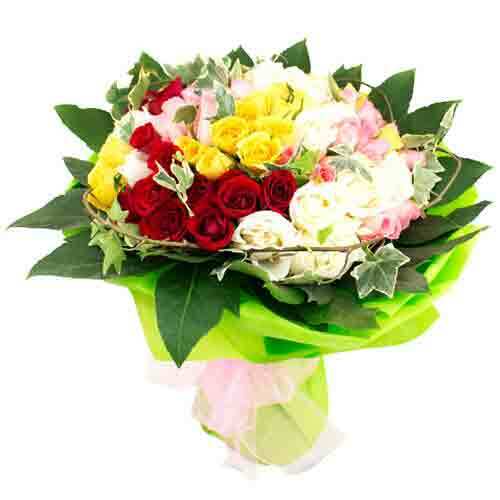 See tears of happiness in the eyes of your dear ones when you send them this Romantic Array of Valentine"s Day Bouquet wrapped up in your love. 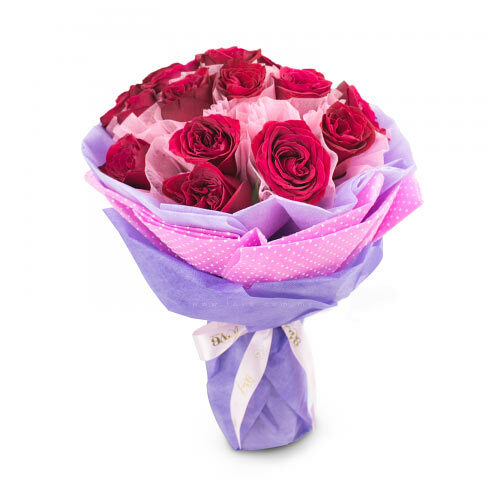 If you"re looking for an instant way to get your beloved to open her heart to you, send this Bouquet of 12 Red N Pink Roses accentuated with Papers, Ribbons and Greenery which is the ultimate expression of Love.